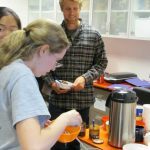 Breakfast items, coffee and juice provided! 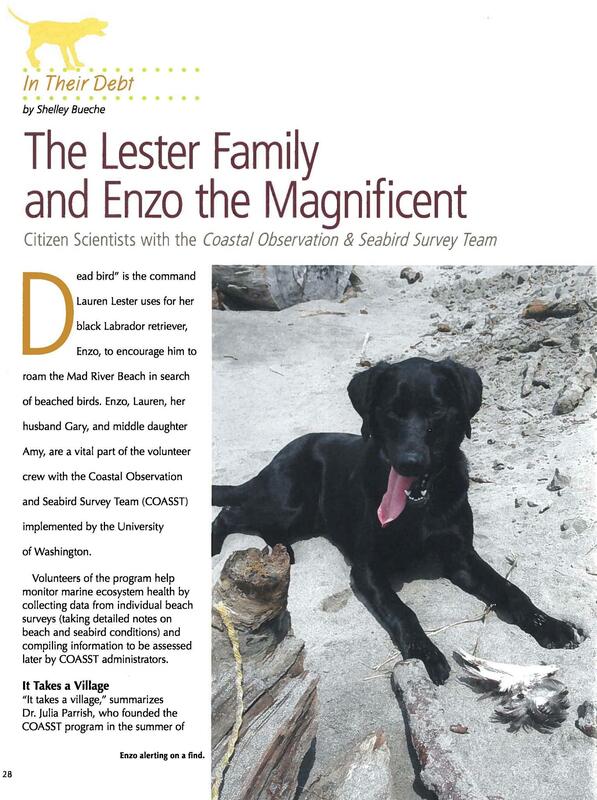 Hey volunteers, check out Enzo the Magnificent, one of our four legged citizen scientists featured in the newest edition of “Just Labs” magazine! 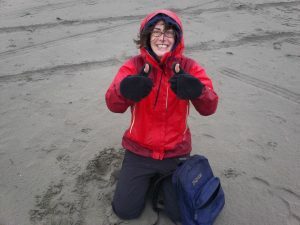 Enzo’s owners have trained him to patrol the beach to find birds during their surveys, and he’s even rescued an injured Rhinoceros Auklet which was then rehabbed and released into the wild! Just goes to show, anyone can become a COASSTer!! 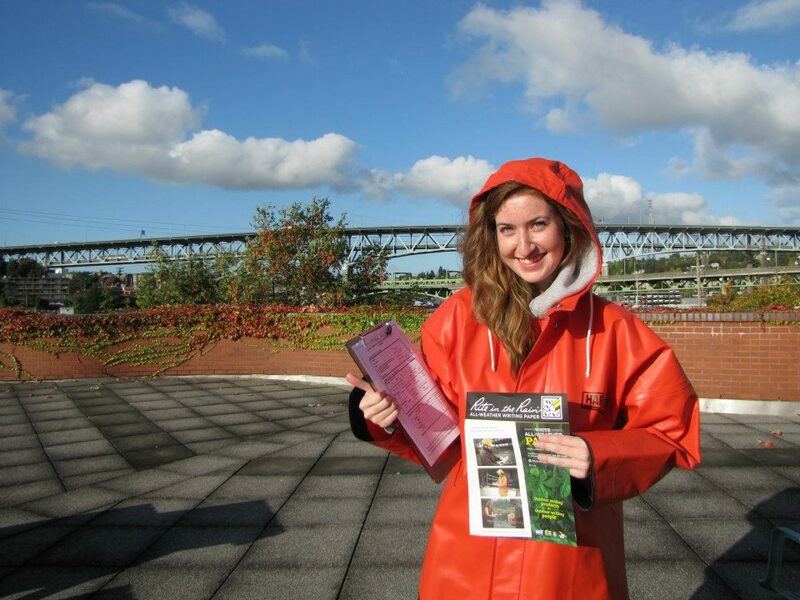 This entry was posted in Uncategorized and tagged Dogs, Volunteer on October 29, 2012 by coasst. COASST has been recognized in the citizen science edition of the online journal “Frontiers in Ecology and the Environment”. 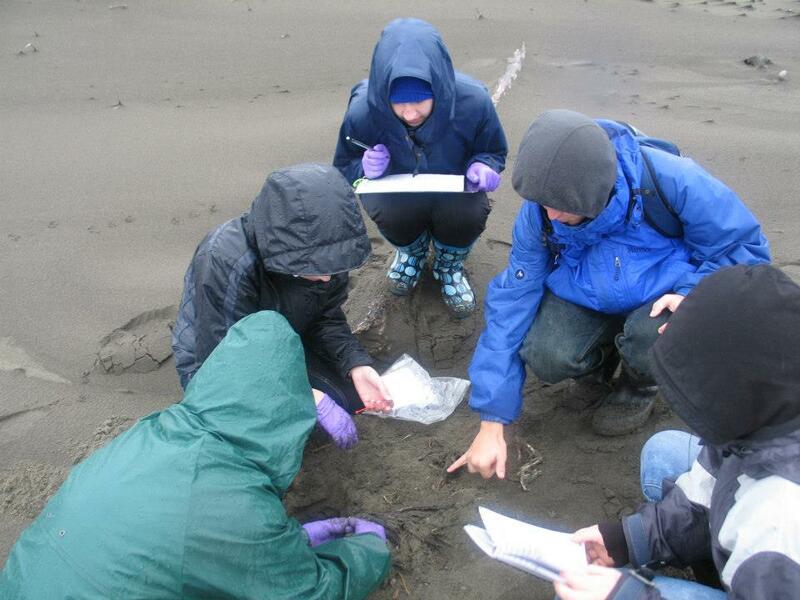 Citizen science engages non-professionals in authentic scientific research, ranging from long-standing, large-scale projects like the Breeding Bird Survey to the more personalized research experiences offered by the Earthwatch Institute. The combination of historical data and assembly of a large, dispersed team of observers creates opportunities for ecological research at unprecedented spatial and temporal scales. 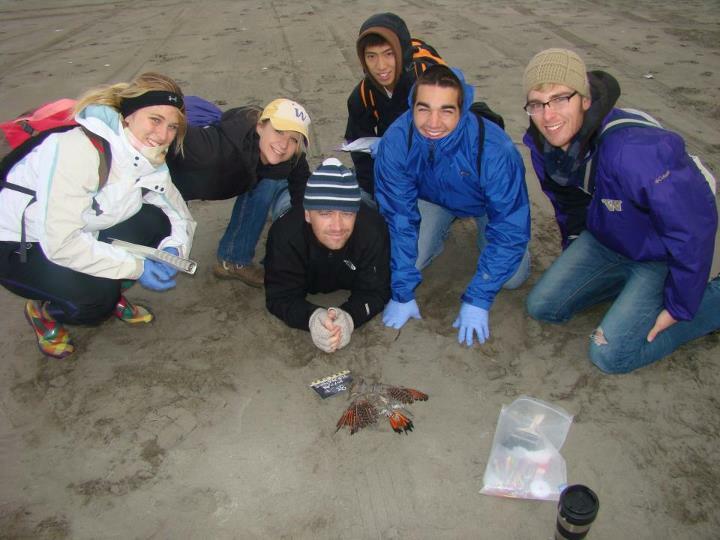 Many ecologically based citizen-science projects collect important baseline data, which positions them to respond to crises such as the 2010 Deepwater Horizon oil spill in the Gulf of Mexico. Other projects routinely monitor mortality in a particular population or species, helping to identify threats to native species and to people (eg Coastal Observation and Seabird Survey Team [COASST]). Dispersed data collection and the ability to collect observations and connect with people, in places, and at scales that would otherwise not be possible, render citizen science increasingly important to environmental research. Today, the internet and geographic information system-(GIS-) enabled web applications allow participants to collect large volumes of location-based ecological data and submit them electronically to centralized databases. The ubiquity of smartphones, the potential for digital photo validation of questionable observations (eg COASST; WebTable 1), and the development of infrastructure for creating simple online data-entry systems (eg www.citsci.org; Table 1) provide added potential for initiating projects quickly, inexpensively, and with stringent criteria to ensure data accuracy. 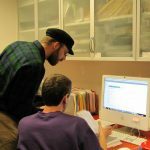 These same web-based tools are democratizing project development, allowing for the creation of data-entry systems for community-based projects that arise out of local, practical issues or needs (eg Extreme Citizen Science; WebTable 1). Although we cannot currently assess the impact of this democratization for ecological research, such empowerment means that resource management decisions, and the data that drive them, are more likely to be in the hands of the people who will be affected by the outcomes. This entry was posted in Uncategorized and tagged Citizen Science, Interns, Survey, Volunteer on October 25, 2012 by coasst. This entry was posted in Uncategorized and tagged Conservation, Seabird, Volunteer on October 24, 2012 by coasst. This entry was posted in Uncategorized and tagged Conservation, Hawaii, Tubenoses on October 23, 2012 by coasst. 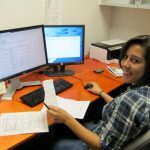 Back in the office the interns are kept busy by COASST volunteer data sheets every day. 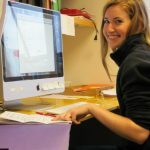 We enter the data online, then file the sheets and photos. 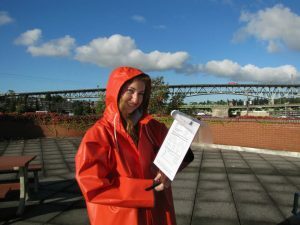 With data from around 800 volunteers to process every month, we can get a little backed up. In order to get back on track the office has an evening of data entry once every couple of weeks. This album showcases our most recent data entry push. Michael assists a confounded Ross in navigating the COASST data entry web page. Steph uses two monitors fo a complete visual of her data entry process. 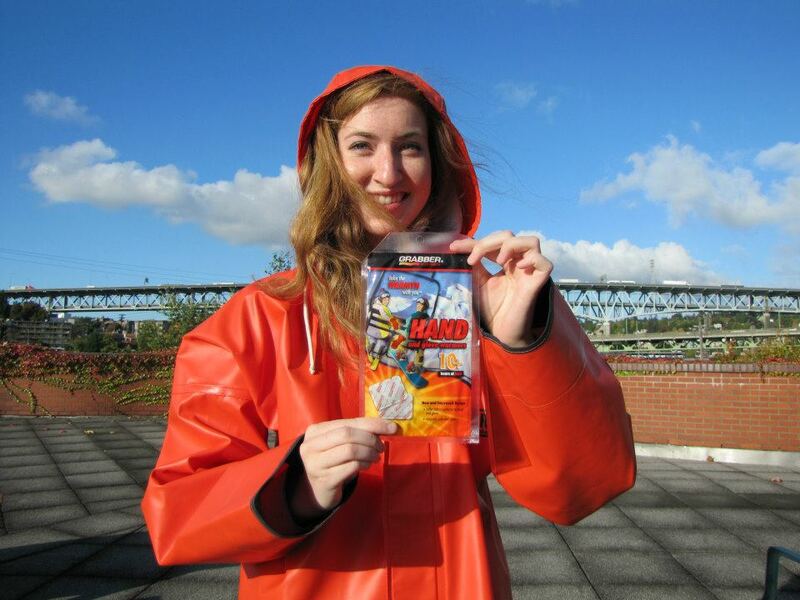 Sydni loves entering data sheets for the Puget Sound region. Interns Steph, Ross and Drew hard at work!The colorful binders at the top of this photo store all of the COASST data sheets from 2004 to 2007, wow! 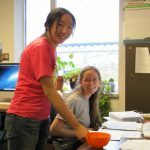 Sunny and Rose work together to file data sheets. 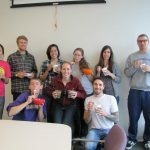 The COASST interns can’t even take a break from their sugar binge for a photo. Pictured from left to right: Back Row: Sunny, Drew, Steph, Rose, Leslie and Clinton. Front Row: Ross, Erin, and Logan. Interns Drew, Rose and Sunny get energized for the data entry marathon with a bit of ice cream, chocolate, licorice, skittles, soda and coffee. Our office is awesome! 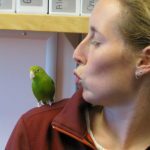 Jane, our fearless leader, brought her parakeet “Emma” in to the office for the data entry and candy party. As you can see here, her cuteness seriously detracted from Erin’s productivity. 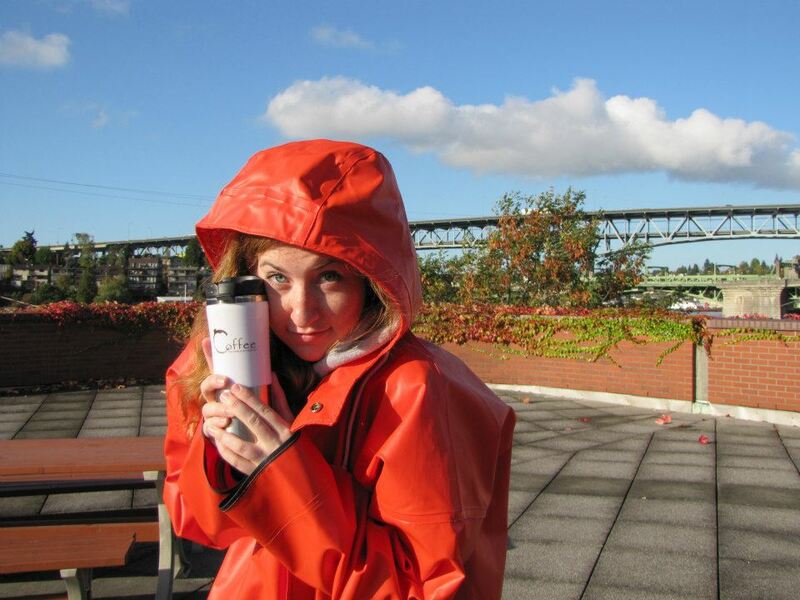 This entry was posted in Uncategorized and tagged Interns on October 23, 2012 by coasst. A newly developed “Seabird Atlas” catalogs sensitive ecological areas for seabirds around the world. Seabirds are the most threatened group of birds since they travel thousands of kilometers across international waters, most of which are unprotected. This means that conservation must become an international effort. 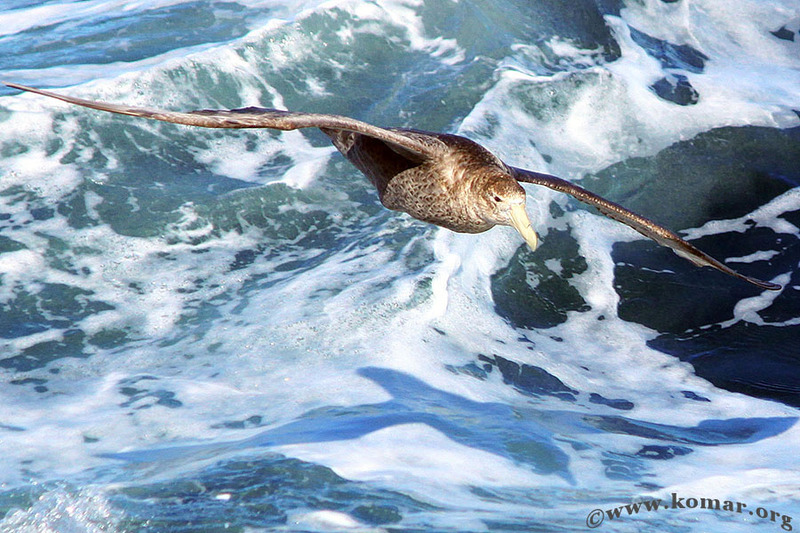 The goal of the “Seabird Atlas” is to inform policy makers around the world in deciding what open ocean or near shore areas should be a priority for conservation. You can access the interactive version of the Atlas from the link below. It’s pretty fun! 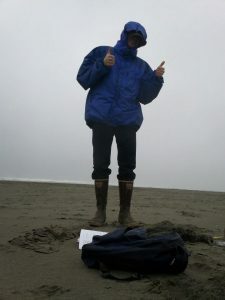 This entry was posted in Uncategorized and tagged Conservation, Seabird on October 18, 2012 by coasst. We know that the life of a COASST volunteer can be a bit more challenging during the winter months so we put together a few tips that might make stormy surveys more enjoyable. We hope they help! 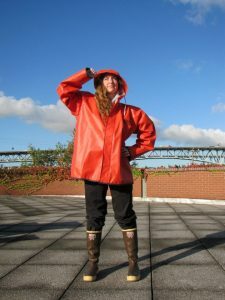 Can you think of anything that might make surveying out in the rain and the cold easier? 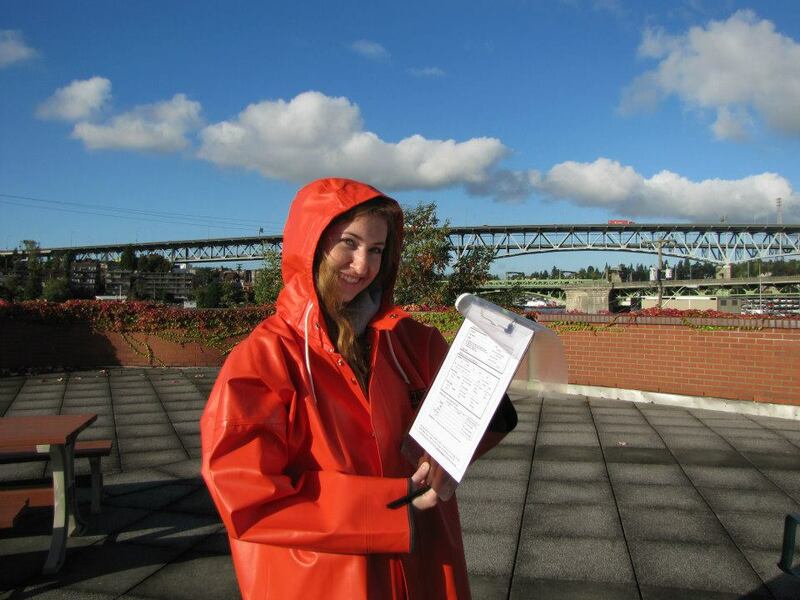 Using Rite-in-the-Rain paper for your data sheets makes note-taking a breeze! A clear sheet protector can be used to protect your data sheet from rain. Have one COASST survey pal use an umbrella to shield the note taker while processing a bird. Invest in hand warmers to keep your fingers and toes cozy. This can seriously improve morale! Looking good and staying dry in head to toe rain gear keeps COASST intern, Sydni, happy during her rainy day surveys! Having something to look forward to at the end of your survey (like a steaming cup of coffee) is a great incentive to get out there and get done! 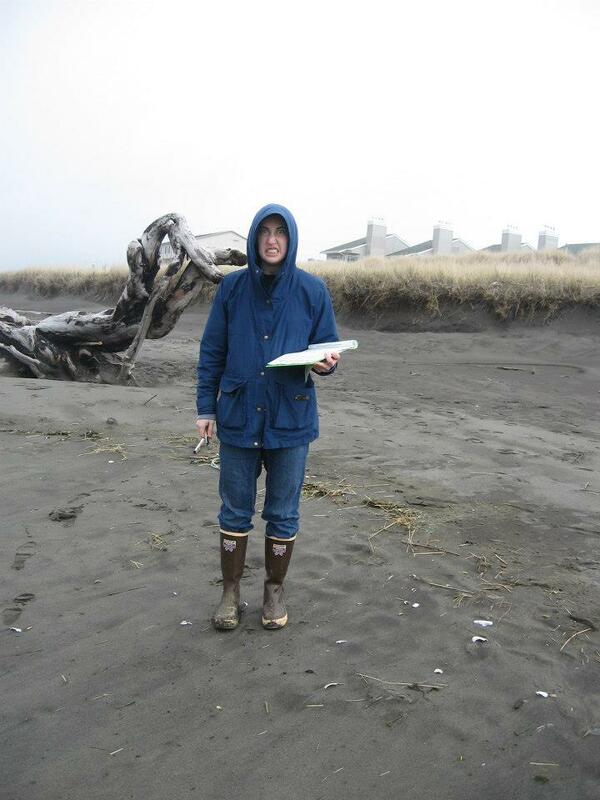 Charlie, one of our COASST bird gurus, doesn’t mind getting a little wet in the name of science! 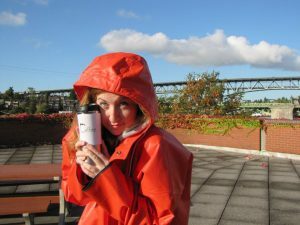 Jane actually prefers surveying in stormy weather, she is a hard-core (dead) birder! Monica needs a bit of incentive to get through her winter surveys. On this particular day, her incentive was meatballs. 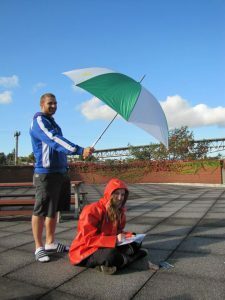 The COASST intern survey team may have appreciated someone holding an umbrella for them on this survey. 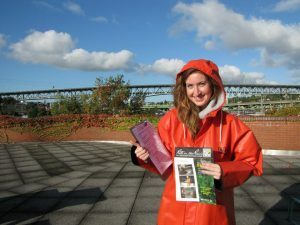 This entry was posted in Uncategorized and tagged Interns, Survey, Volunteer on October 16, 2012 by coasst.